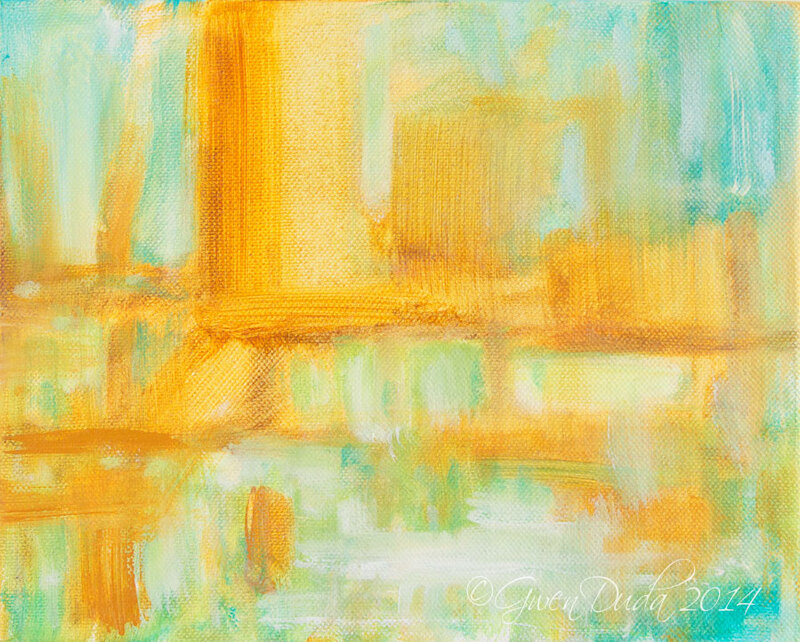 This original abstract acrylic measures 8" x 10" and is done in the light hues of spring, light tans and gold, teal and light blues, light greens and white. It is done on stretched canvas with the image continuing around the sides. It can be hung as is or can be framed (a floater frame would suit it well).